Cordyline Torbay Red is an amazing a small evergreen palm-like tree that can be grown both in large containers and in the open ground. Also known as the Cabbage Palm, this Cordyline is characterized with long blades of bronze-red leaves and panicles of white flowers in summer. Add a modern stylish look to your garden with Torbay Red as it provides a tropical look for all garden types. 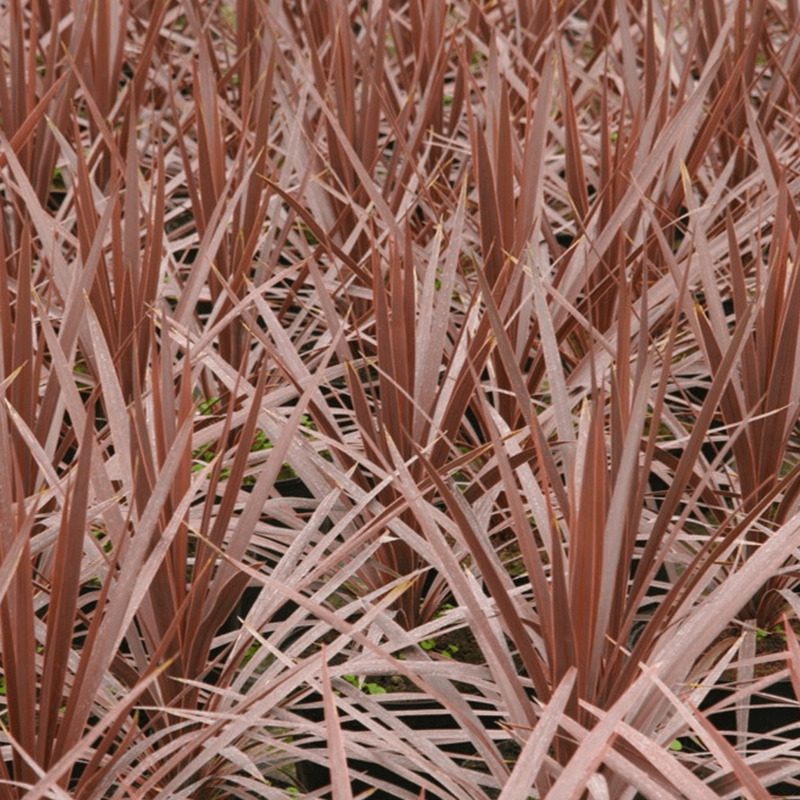 Cordyline is native to New Zealand. Torbay Red is a beautiful variety with narrow sword-like bronze-red leaves that grow in a tuft from the bottom of the plant. The leaves can be as long as 2 feet in length add provide a perfect architectural look to the plant. This easy to grow palm will bloom white flowers in terminal clusters, which are scented and attract bees and butterflies. The evergreen foliage will add year-round interest to your garden. Torbay Red can grow up to a height of 4-6 metres when grown outdoors. It will thrive in full sun in a well-drained soil. In winter, it needs protection from cold winds as it is not very winter hardy plant. When grown in containers, make sure to use good quality compost and keep the soil moist. In spring, one can prune Torbay Red palm to remove any damaged leaves using shears for cutting. Once established, it will turn very tolerant of coastal winds and dry season. Cordyline Atlantic Green is perfect for any garden type. Grow it in large containers on the patio or deck, or at the entrance sides. Use it to redesign your garden’s outlook by planting it as flower borders. Most suitable for cottage and coastal gardens.